Labour deputy leader Tom Watson is hardly the first to use Russian revolutionary Leon Trotsky as a cheap insult. It's a tried and tested trick of Labour hacks. They lump in anyone frustrated by electoral manoeuvres or union bureaucracy with “scary extremists”. They use ridicule to dismiss a possibility that still terrifies them. Trotsky, along with Vladimir Lenin, was a key leader of the 1917 Russian Revolution. To guide their struggle they built on the revolutionary theories of Karl Marx. 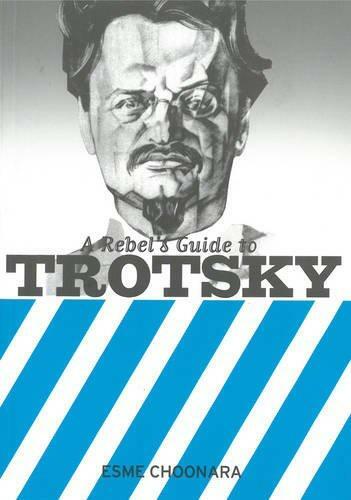 But unlike Lenin or Marx, Trotsky lived to defend the revolution from Joseph Stalin’s counter-revolution. His name more than any other is bound up with the idea of the working class taking power for itself. Born Lev Davidovich Bronstein, he took the alias Trotsky from the name of his guard when he was jailed by Russia's Tsarist monarchy. When workers in Russia's then capital St Petersburg rose up in 1905 they elected Trotsky, aged just 25, as president of their new "soviet" or workers' council. A Jewish-born activist led the city that had seen some of history's worst antisemitism. Trotsky saw soviets as more than tools in the struggle. They were centres of working class power to rival the Tsarist state—bodies through which workers could run society. The revolution was crushed, but Trotsky was the first to grasp its lesson. Most Marxists believed that workers couldn't take power in backward Russia until its capitalists had ushered in a modern democracy. But Trotsky argued that relics of feudal society coexisted with intense cutting-edge industry. Russia's working class, though small, had a powerful role in Russian society. He was proved right when workers rose up again in 1917 to end the slaughter of the First World War—and won. The new workers' government sent Trotsky to negotiate with Germany. Ending centuries of secret diplomacy, he used an unconditional peace offer to call for solidarity from German workers. Revolt in Germany ended the war. But Russia's old rulers allied with foreign armies to crush the revolution. Trotsky rallied workers to form their own "Red Army" to repel the counter-revolutionary revenge. He led it from the front. Against staggering odds they beat back the reactionary "White Army". But the four year civil war gutted Russian society. Working class militants died in action. Famine depopulated the cities. The civil war hadn't restored the Tsar, but it had undermined the basis of workers' power and created space for a new ruling class to emerge. Joseph Stalin turned the Communist Party that led the revolution into a grotesque parody. Revolutionaries were jailed, killed or exiled. Naked terror forced through rapid and painful industrialisation. Stalinism perverted the priorities of Communist Parties across the world. Instead of fighting for revolutions they became tame proxies for Russian imperialism. Trotsky led the opposition, both in Russia and then in exile. Until his murder by one of Stalin's agents in 1940 he was the world's leading theorist of revolutionary struggle. He kept alive the Russian Revolution's legacy—a real socialist alternative to Stalinist dictatorship and sellout Labour-type parties. Trotsky wasn't infallible. He wrote to grapple with struggle, not to lay down dogma. Much of what he wrote as the Second World War was unfolding was wrong. Others had to theorise the societies taking shape in Russia and Eastern Europe. But the revolutionary power Trotsky saw in the working class hasn't gone away. He offers an inspiring example and an arsenal of ideas to all who are fighting to realise that power. If the likes of Watson call you a Trot, wear it as a badge of pride. Why is Leon Trotsky relevant today?